Is Anyone Using Long-Distance VM Mobility in Production? How many LISP VM mobility installs has anyone on this list been involved with or heard of being successfully deployed? How many VM mobility installs in general, where the VMs go at least 1,000 miles? I'm curious as to what the success rate for that stuff is. One of the vendors that focus on simplifying the network device configuration is Cumulus Linux. During my recent SDN workshops I encountered several networking engineers who use Nexus 1000V in their data center environment, and some of them claimed their organization decided to do so to ensure the separation of responsibilities between networking and virtualization teams. There are many good reasons one would use Nexus 1000V, but the one above is definitely not one of them. Found an interesting article on High Scalability blog (another must-read web site) on how PostgreSQL improves locking behavior in high-volume transaction environment. Needless to say, the feature is totally proprietaryrather unique and not available in most other database products. Improved locking behavior ⇒ improved lock-in. Moral of the story: Stop yammering. Networking is no different from any other field of IT. Update: Yep, I goofed up on the proprietary bit (it was one of those “I don’t think this word means what you think it means” gotchas). However, if you think open source product can't have proprietary features or you can’t get locked into an open-source product, I congratulate you on your rosy perspective. Reality smudged mine years ago. Every time I’m explaining the intricacies of new technologies to networking engineers, I try to use analogies with older well-known technologies, trying to make it simpler to grasp the architectural constraints of the shiny new stuff. Unfortunately, most engineers younger than ~35 years have no idea what I’m talking about – all they know are Ethernet, IP and MPLS. Just to give you an example – here’s a slide from my SDN workshop. You won’t have that problem during the Miami SDN/NFV/SDDC retreat. SD-WAN is all the rage these days (at least according to software-defined pundits), but networking engineers still build DMVPN networks, even though they are supposedly impossibly-hard-to-configure Rube Goldberg machinery. 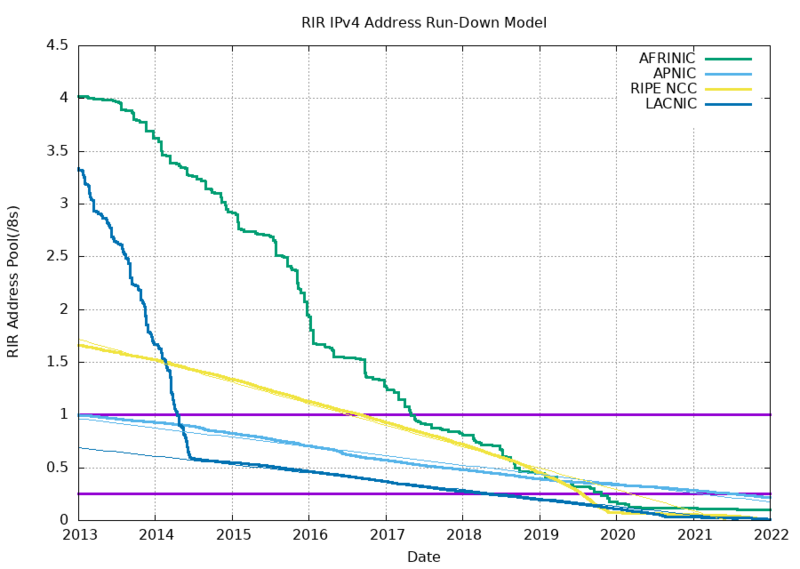 To be honest, DMVPN is not the easiest technology Cisco ever developed, and there are plenty of gotchas, including the problem of default routing in Phase 2/3 DMVPN networks. When the situation was manageable it was neglected, and now that it is thoroughly out of hand we apply too late the remedies which then might have effected a cure. There is nothing new in the story. It is as old as the Sibylline Books. It falls into that long, dismal catalogue of the fruitlessness of experience and the confirmed unteachability of mankind. Want of foresight, unwillingness to act when action would be simple and effective, lack of clear thinking, confusion of counsel until the emergency comes, until self-preservation strikes its jarring gong -these are the features which constitute the endless repetition of history. Obviously mr. Churchill wasn't talking about IPv6 but about way more serious matters… but it's also obvious he was right abut the unteachability of mankind. Reiss Romoli, the fantastic organizers of my SDN/NFV event in Rome, Italy in late October are offering you a free personal ipSpace.net subscription – a saving of $299 or approximately EUR 270. All you have to do to qualify is (A) download and fill in the registration form, (B) send it to Reiss Romoli and (C) pay before attending the webinar. Yeah, I know the PDF form says “fax it back” – everyone has to use the tools that work best in their environment. Hope we'll meet in warm and sunny Rome in a few weeks! Short answer: You don’t… and it’s a wrong question anyway. A year ago I was a firm believer in the unlimited powers of Software-Defined Data Centers and their ability to simplify workload migrations. After all, if you can use an API to create any data center object, what’s stopping you from moving the workload running in a data center to another location. As always, there’s a huge difference between theory and reality.